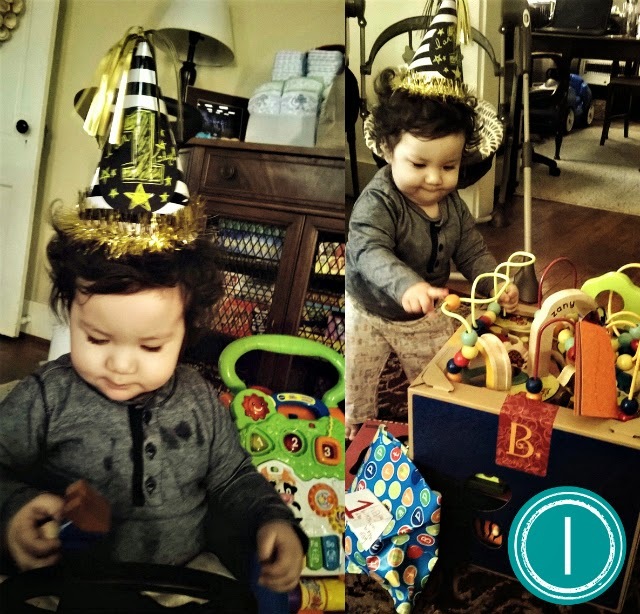 One Savvy Mom ™ | NYC Area Mom Blog: One - The Year That Changed Us All Forever. One - The Year That Changed Us All Forever. One. My sweet little guy is officially 1 year old! I don't know where the time went? I find myself marveling at how light-speed fast it feels this time around. I don't recall time slipping away so quickly with our older two? This year has been life-changing in some of the most unexpected ways. I have written here weekly for the last 6 years. Yet, I only grazed the subject of my mother passing, in a post just after our little guy was born. When she died, almost 5 years ago now, it was an unexpected blow that I never quite bounced back from. It shook me to my core. It changed the way that I functioned. It changed the way that I mothered. It changed my relationship with my husband. It changed my world. Don't get me wrong. I wasn't a bad mother, or wife. I was just different. Completely different. While my husband and I had wavered and gone back and forth about adding to our family for years, the time never seemed quite right. Years went by. Then, we were blessed with our little guy last year. He truly came in God's perfect timing. I am eternally grateful for this little boy; for all of my children. When he was born last year it was, for lack of any better way to describe it, eye-opening. The world opened back up. Sometimes that's what it takes, I guess. After we're plunged into the grief that accompanies such a monumental loss, it takes another monumental life-changing moment, to find our way back. This guy is just amazing. He is starting to explore more and more each day, and he's getting into EVERYTHING. It's so much fun to watch him discover new things! He's not walking quite yet. Though he is cruising, and he crawls at record pace. He's also learning to stand independently. When he lets go and manages to balance on his own little feet, even if just for a few seconds, he beams with such pride. And I beam with pride for him! My family is my everything. I can't wait to see what year two brings!